These new cloud services seek to help companies figure out what their traditional SIEM alerts mean, plus how they can prioritize responses and improve their security operations. At the RSA Conference in San Francisco last month, several vendors were on hand touting security operations center (SOC)-as-a-service. But Anton Chuvakin, distinguished vice president and analyst at Gartner, summarily dismisses the term as vendor hype. He says he was first intrigued when pointed to the websites of several companies that market SOC-as-a-service. So Chuvakin took an informal poll of Gartner security analysts and found each thought SOC-as-a-service was either vendor hype or another way of positioning a managed security service provider (MSSP) or managed detection and response (MDR) services. "My mini-research here on SOC-as-a-service confirmed what I told you: There is no such well-defined technology or market," Chuvakin says. Interestingly, vendors offering SOC-as-a-service echoed the same sentiment: Traditional security information and event management (SIEM) systems create too much noise, and companies are left figuring out what all of the alerts mean. In addition, the industry had to do more to help enterprises figure out what the alerts mean, prioritize what they need to focus on, and help them create a plan to improve over time. Christina Richmond, a principal analyst at the Enterprise Strategy Group, says she has seen two types of companies that offer this. The first uses a SaaS-based – usually multitenant – approach that focuses on monitoring/alerting in a cloud environment. The second type is a consulting-based company that builds a SOC on behalf of the client and then runs it. But Richmond sees the SaaS-based model as the one that has caught on in the market. "I do think this is a niche and a 'feature' of the [MSSP] market, but I wouldn't call it a buzzword," Richmond says. "The feature is that it's more hands-off, providing automated detect/alert capabilities." Most of these vendors have people monitoring security alerts and information, she says. 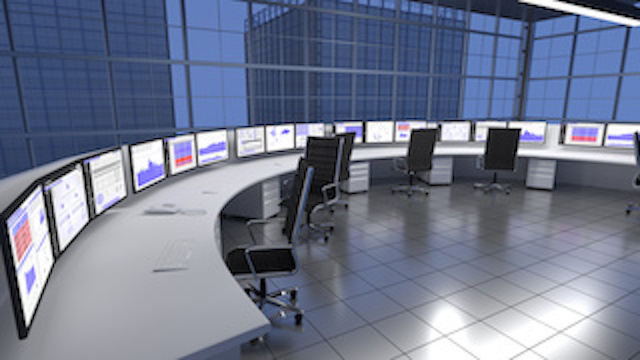 "Will it become a full part of the [managed security services] market? Likely," Richmond says. "Some of the reason that this feature is useful is that it provides a platform for machine learning and algorithmic detection in the cloud environment." SOC-as-a-service offerings may well become just another element of the managed security services sector in the end, but the concept resonates for many organizations that don't have or can't afford to build their own SOCs. According to recent ESG research, 53% of enterprises report a problematic shortage of cybersecurity skills at their organizations. Check out these eight companies touting SOC-as-a-service, and let us know what you think in the Comments section. This comment is waiting for review by our moderators. Glad to see SOC-as-a-Service highlighted as a practical solution for the masses that don't have the wherewithal to staff, resource, and retain an in-house SOC. It's also interesting to see the debate over the definition of this as a defined market. As a side effect of a fast-paced growing market, the phraseology of what's what is very nuanced. What's the difference between an MSSP, a co-managed SIEM, or a SOC-as-a-Service? Depends on who you ask. It would be interesting for sure to see a detailed and agreed-upon definition for each. Vendors, such as ourselves, can easily see ourselves fitting all three of those categories. At Netsurion, we deliver what we call a co-managed SIEM. I would say that it easily aligns with the concept of a SOC-as-a-Service as well. It includes a fractional SOC team (EventTracker SOC) to fit the needs of the organization, that operates a SIEM platform (EventTracker SIEM) complete with managed security services like vulnerability assessment service, managed EDR (EventTracker EDR), and even managed threat deception service (EventTracker Honeynet) to name a few. I think regardless of where you land on MSSP, co-managed SIEM, and SOC-as-a-Service markets, most would agree that more technology alone is not going to cut it for 90% of organizations with a security team of 1... or none. All of these solutions address the need for cybersecurity convergence, but are different in what degree do they provide product, people, and process to solve the problem. What layers of defense are within scope? How is it deployed and maintained? How are responsibilities aligned between vendor and customer?